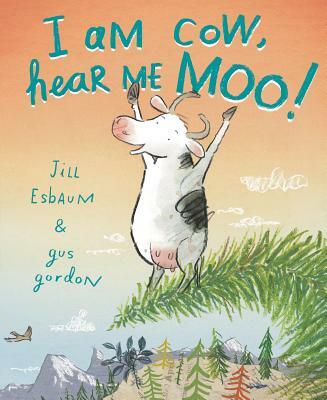 A high-stakes adventure and hilarious ode to self-esteem for fans of Oliver Jeffers, Click, Clack, Moo: Cows That Type, and Louise, The Adventures of a Chicken. Jill Esbaum is the brave author of Tom's Tweet, Stanza, I Hatched! and many other books for kids. A lifelong lover of stories and animals, Jill is now a full-time writer. Growing up in rural Iowa, where she still lives, Jill often went camping with her family--though none of their trips were as exciting as Nadine's! Gus Gordon grew up on a farm in the mountains, went to agricultural college, and even worked on a cattle farm. Eventually, he realized he loved drawing cows (and other things) more than he loved living with them, so he bravely turned to illustration. Gus now lives with his wife and three kids in Sydney, Australia.